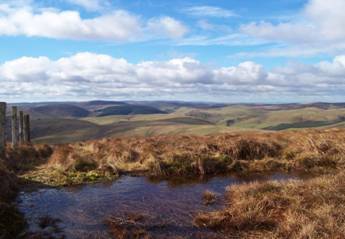 The River Coquet rises on the remote upper slopes of Brownhart Law, close to the Roman military complex of Chew Green, and for the first 10 miles of a long and wayward journey to the North Sea this magnificent river rubs shoulders with some of the finest hills in Northumberland. This book, published in 2009, contains a unique collection of new walks in the most tranquil corner of England. Country Walking magazine said, “……..this is fabulous walking country, in the company of one of the UK`s most respected guide writers” whilst North East Lifestyle magazine said, “……informative, interesting and entertaining, guide books don`t really get any better than this”. The Cheviot Hills are lonely hills of sweeping vistas and far off horizons, where wild goats roam and the call of the curlew echoes across centuries of a violent and bloody past. This latest (2011) book of walks is designed to tempt inquisitive and adventurous walkers outside their normal walking boundaries. These are walks for the connoisseur with a taste for something just that little bit out of the ordinary. The book which contains 8 unique walks and 62 full colour photographs was described by North East Lifestyle magazine, as allowing, “readers to imagine the sights and scenery along the walks, before even leaving the house”. 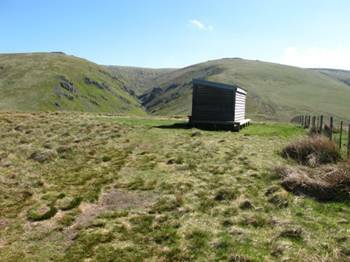 The Cheviot Hills stand on the northern edge of England at the heart of the Northumberland National Park. They roll across the border into Scotland like a tide of small green waves. These are wild expansive hills where the echo of history can be heard from every windswept hill and in every tranquil valley. This is ideal walking country. 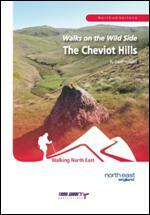 In this book, published in 2007, the reader will uncover on each walk a small piece of the Cheviot jigsaw. They will follow less than ordinary routes to summit cairns where they will see distant views. Along the way, they will encounter cleughs, burns, sikes, crags, shins, dodds, hopes, linns, shanks and a whole lot more. A huge amount of rain has trickled down the Cheviot Hills since W. Ford Robertson`s book, `Walks from Wooler` was first published in 1926 and, at first sight, the hills seem pretty much the same as they did all those years ago. Yet, inevitably, there has been change. This book, first published in 2008 & now in its 3rd revised 2012 edition, sets out to discover how that change has affected route descriptions now more than 80 years old and to find out whether those routes are still relevant to the 21st century walker. Along the way, the book peeps into a walking past of tackety boots and stout sticks whilst keeping both feet firmly planted in a high-tech walking present. All four books contain eight specially written new walks following less than ordinary routes to summit cairns & distant views, detailed route descriptions, interesting facts and a host of appetite whetting photographs. Devised, written and photographed by author Geoff Holland, a regular contributor to `Country Walking`, `TGO (The Great Outdoors)` and `The Northumbrian` magazines, these are must-buy books for all independent walkers who are seeking new horizons in England`s most northerly hills. `The Cheviot Hills` and `The Hills of Upper Coquetdale` are now in their second editions which have been expanded by the inclusion of additional colour & black & white photographs. The latest book, `Walks on the Wild Side The Cheviot Hills` has all photographs in full colour whilst `Walks from Wooler`, now in its third edition, also has all full colour photographs along with useful sketch maps of the routes. These books are all published by Darlington-based Trailguides Publications specialists in user friendly guide books & route guides for activity sports such as walking, mountain biking & trail running. Order your copies of `The Cheviot Hills` or `The Hills of Upper Coquetdale` now by sending a cheque for £8.50 (plus £1.40 postage & packaging) or £9.99 (plus £1.40 postage & packaging) in respect of `Walks from Wooler` or `Walks on the Wild Side The Cheviot Hills` to Trailguides Limited, 35 Carmel Road South, Darlington, Co. Durham DL3 8DQ. Alternatively, go online and visit www.trailguides.co.uk. You can then place your order & the book will be winging its way to you. What could be easier? Otherwise, just ask any good bookshop to order the book for you or click onto www.amazon.co.uk .